NEW YORK – November 11, 2014 – All email senders have a reputation that influences whether their messages reach consumers’ inboxes, and new research from email analytics company Return Path shows that only an elite group of highly reputable email marketers consistently reaches its audience. Messages from legitimate senders with good-but-not great reputations are frequently blocked or delivered to spam or junk folders, limiting their email marketing effectiveness and revenue, and weakening customer relationships in highly competitive environments. Even among well-known brands, reputation is dividing winners and losers. Using Sender Score, its IP-based proxy for reputation, which assigns a score from 0 to 100 (the best possible reputation), Return Path studied a sample of more than 100 billion messages to gauge relative inbox placement. Only 2% of messages from senders scoring 99 or 100 were blocked or delivered to spam; the rest reached their targets’ inboxes. By contrast senders scoring 90 failed to get more than 20% of their messages to the inbox. Meanwhile most messages from senders scoring less than 71 never reached anyone – the bulk of them were blocked by mailbox providers. Marketers searching for an edge to improve sending reputations should focus on spam complaints, according to Return Path’s 2014 Sender Score Benchmark Report. Even among the top-ranked senders, the disparity between complaint rates clearly separated winners and losers. Only 0.03% of messages from senders scoring 99 and 100 produced complaints. Mail from senders scoring 95-98 was nearly six times more likely to produce complaints (0.17%) than the most reputable senders’; and the complaint rate for senders scoring 91-94 was 0.33% – roughly ten times higher than the best senders. Increased complaints often follow changes in email program frequency, volume, or content. Marketers have debated whether mailbox providers make it too easy for subscribers to complain in lieu of opting out of email programs, but this study casts doubt on that view: Spam complaints were distributed unequally—some senders got virtually none while others got lots. Subscribers concentrated their ire on specific campaigns and senders, damaging their reputations and email marketing performance in the process. To conduct this report Return Path studied a representative sample of 138.7 billion messages sent from IP addresses whose Sender Score was calculated, and whose subscriber engagement and inbox placement data were available for analysis. In addition to Sender Score data, this report used data from the Return Path Reputation Network to track inbox placement rates across mailbox providers. Data used for this report were aggregated and anonymous, and not limited to Return Path clients. Sender Score is a Return Path property and is offered free of charge under terms of service available at: www.senderscore.org. 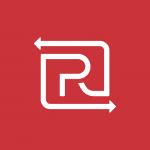 Return Path analyzes the world’s largest collection of email data to show marketers how to stay connected to their audiences, strengthen their customer engagement, and protect their brands from fraud. Our solutions help mailbox providers around the world deliver great user experiences and build trust in email by ensuring that wanted messages reach the inbox while spam and abuse don’t. Consumers use Return Path technology to manage their inboxes and make email work better for them. Find out more about Return Path at www.returnpath.com.